Richie Sambora has revealed that he has already played with Bon Jovi ahead of their induction in the Rock And Roll Hall Of Fame. The guitarist recently reunited with his old band for rehearsals for the Hall Of Fame induction ceremony. It marks the first time Sambora has shared a stage with Bon Jovi since he dramatically quit in 2013. The Rock And Roll Hall Of Fame induction ceremony takes place in Cleveland, Ohio on April 14. As well as Sambora, it will also feature original bassist Alec Jon Such, who left the band in 1993. Bon Jovi have been eligible for the Rock And Roll Hall Of Fame since 2008, and this was their second nomination. They reportedly received more public votes than any other nominee. 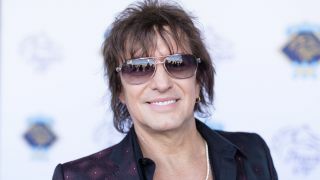 Despite the Hall Of Fame reconciliation, Sambora has no plans for a long term reunion with his former band. He releases a new collaborative album, Radio Free America, with his guitarist girlfriend Orianthi in May. “I was thinking about the concept of Radio Free Europe during WWII,” says Sambora. “Radio Free Europe brought a lot of the news to troops and people who were on the verge of defecting. They were getting music and they were getting news. I was thinking about how all that rolls around, and the fact that, in America, we have the freedom to choose what kind of music we want to play.